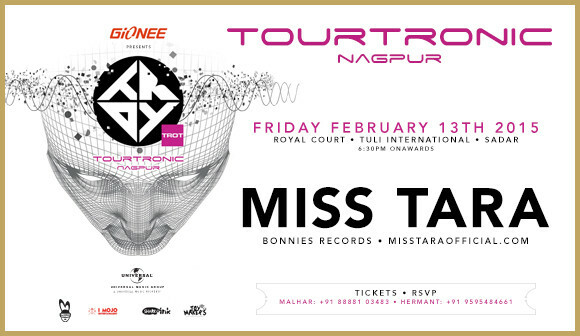 Miss Tara headlines Universal Music India’s Tourtronic at the Tuli International Nagpur. Tourtronic is Universal Music India’s brand new traveling EDM show featuring high-end technology, cutting-edge sound and deep visual mapping. Miss Tara is excited to be a part of it.